The speed of work in our modern world is accelerating so rapidly that more and more people find themselves operating careers either remotely or in multiple home bases. In California, living and working in several cities throughout the Golden State is not uncommon — L.A., and San Francisco are among the most popular. Knowing the landscape of these two popular, yet distinctly different cities, San Francisco and Los Angeles, can help busy professionals make the dual-city life work. Steep hills and stunning views are quintessential San Francisco. Nob Hill, a movie-director’s dream, presents endless opportunities to step outside and venture to Union Square, the Marina, or North Beach all in a short stroll. San Francisco is the perfect place to get lost, and that’s how many people stumble upon hidden gems with breathtaking, sweeping views of the city. An example can be found near the intersection of Mason and Vallejo streets in Nob Hill, but one must be prepared to climb some stairs. Visitors can roam the neighborhoods in true San Francisco style, with some Lululemons and sneakers of choice. To dip away from the chaos of city life and find some inner peace with free yoga, visit Grace Cathedral every Tuesday. For the fashion-conscious, Union and Fillmore Streets offer the trendiest, unique boutiques. Mason Pacific, a Michelin-rated eatery nestled in Nob Hill is a favorite for locals. Hyde Street has many great places to eat along the residential corridor, and the cable car trip in and out provides views from Russian Hill. The great thing about San Francisco is that it’s the West Coast city closest in vibe to the culture of the East Coast. As a result, finding an excuse to dress up and channel one’s inner socialite is never too hard. Evenings at the Fairmont Hotel lounge for drinks are always a good idea, and classical music lovers will enjoy Davies Symphony Hall. Los Angeles is also divided into many neighborhoods with unique personalities, such as Beverly Hills, Santa Monica, Venice, Downtown, and Silver Lake. L.A. is the West Coast fashion hotspot and has no shortage of stores to revamp one’s wardrobe. For those not limited to a budget, Rodeo Drive and Robertson are top-notch (and pricey) destinations. Bargain shoppers fear not: historic Santee Alley offers the latest trends on a budget but should be visited during weekdays to avoid huge weekend crowds. The Tasting Kitchen, located on the west side in Venice, is one restaurant that offers cozy ambience, and the bread, which is sourced from the famous La Brea Bakery, is to die for. The social scene is also one of L.A.’s best assets, and although Hollywood has always been a nightlife staple, downtown is increasingly booming with new and trendy spots. A favorite bar/lounge is The Edison, housed in L.A.’s first private power plant, which now serves drinks in the moody underground. For a bit more fresh air, the awesome skyscraper views at Perch bar and restaurant offer plenty of eye-candy for social media. No review on L.A. is complete without credit to its near-perfect weather, which attracts millions of tourists each year. 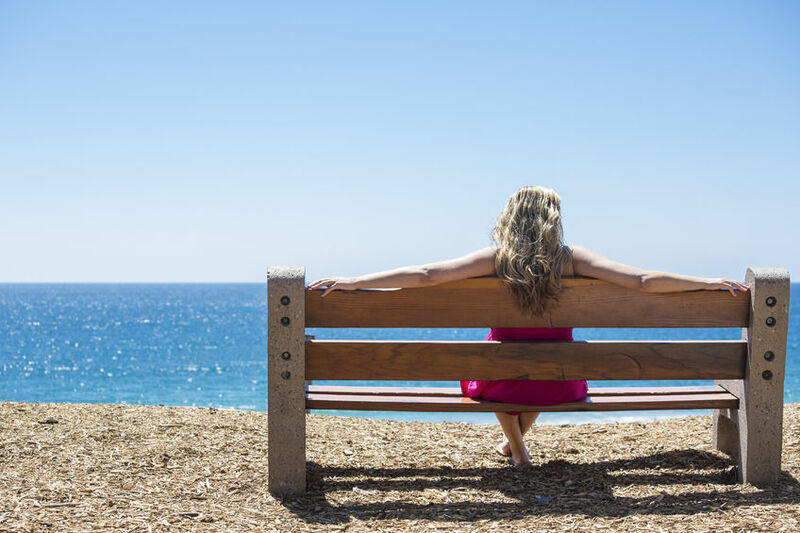 The constant UV is plenty of reason to avoid the gym, especially with options such as Palisades Park, a stretch of green in Santa Monica that is ideal for workouts with a view, or Runyon Canyon atop Hollywood for the perfect hike. Finish a workout with a visit to Qwench juice bar to indulge in a blend of powerful superfoods. Some of us have to carry a lot more than our personal items when traveling for work, so shipping meeting materials before heading out eases the load. Carry-on luggage is a must and the Tumi Oslo Company Carry-on is especially great because it counts as a “personal” item and can be attached to the handle of a regular carry-on, enabling the savvy traveller to carry a lot without having to check a bag. There’s nothing worse than having to wait at baggage claim with anxiety every time. When making a “home” in another city, familiarity is key – having a go-to nail salon, hair salon, drug store (24-hour, if possible), and favorite restaurant spots is critical. Having friends or family to call on when the loneliness kicks in makes trips so much better. Social apps can help, and Meetup is a great tool to start with. As travel frequency increases, tools like AirBnB are great for finding something that feels a little more like home. Add Amazon PrimeNow, to get groceries delivered within two hours. In addition to enjoying a home-cooked meal, these services can help stretch daily per diems to include a very nice night out. Living between cities can be challenging but full of excitement. Newbies should not be discouraged by the instability. Mastering the dual life is an invaluable skill that will ultimately permeate other areas of life, leading to greater success.